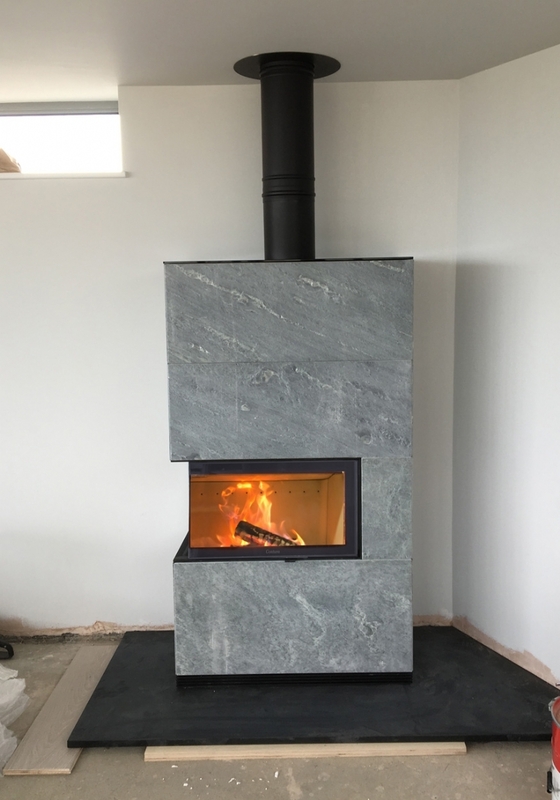 Contura i41 in grey wood burning stove installation from Kernow Fires. 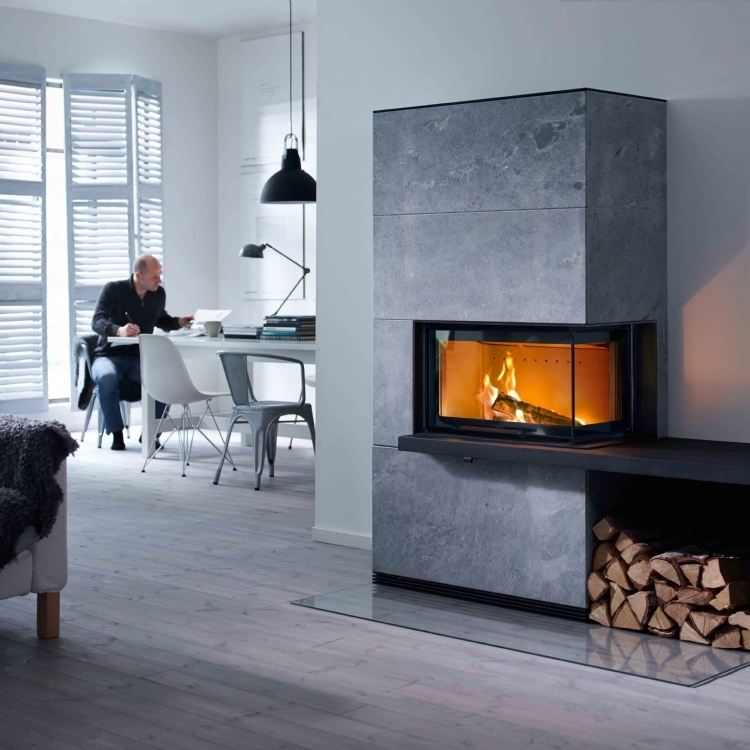 The Contura I41 is definitely a statement fireplace, clad in grey stone the two sided glass unit is visible throughout the large room. 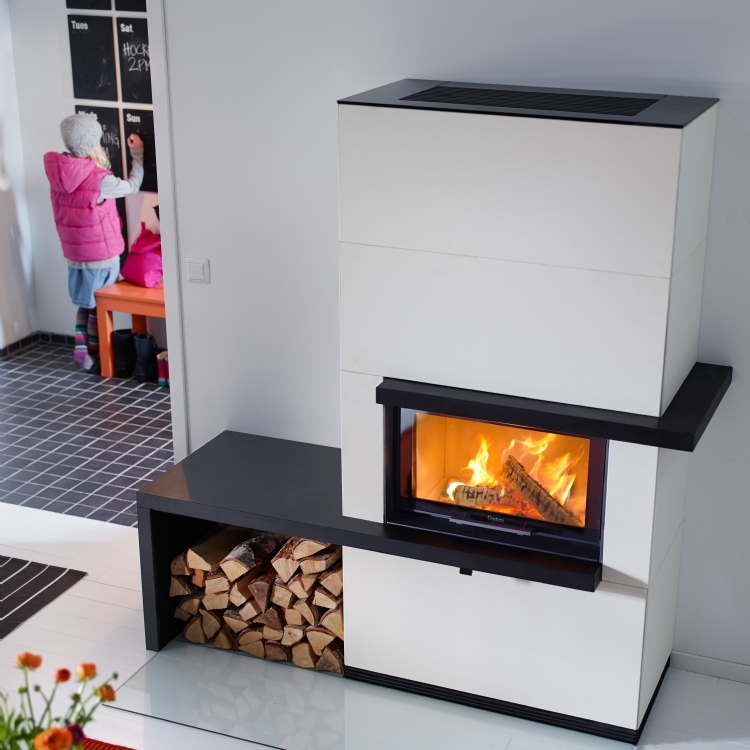 A twin wall flue system is used to create a chimney.